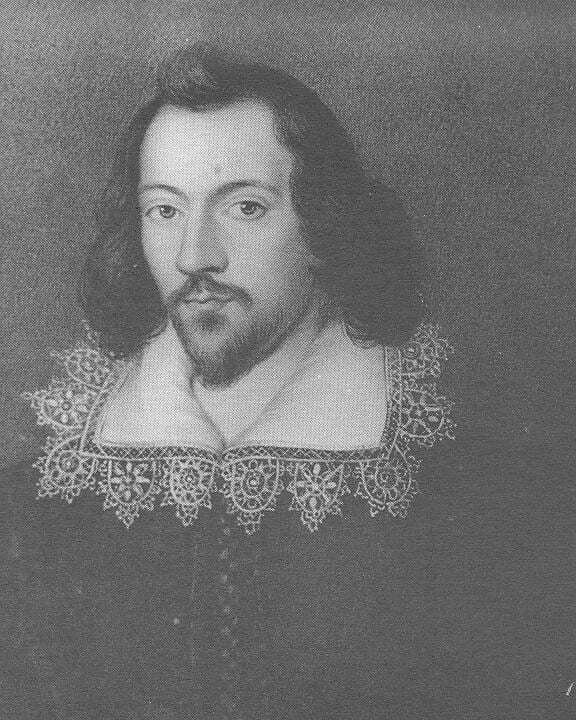 Playwright Thomas Kyd, a few years older than William Shakespeare, was probably as influential in the development of Renaissance drama as the Bard, even though he died at the age of 36. Kyd is the author of The Spanish Tragedy, the revenge tragedy that sparked the hugely popular trend for the theme of revenge in Elizabethan and Jacobean drama. But even more important in the history of English drama is what is thought to be a play he wrote called Ur-Hamlet. It is the story of Hamlet that Shakespeare used for his famous play and, just like Shakespeare’s play, it explores the revenge theme. Or perhaps it is more accurate to say that Shakespeare’s play explores the revenge theme just as Kyd’s play did. Shakespeare was clearly very impressed with Kyd, as his influence can be seen in the development of his own dramatic writing. There is also more to it: Kyd’s verse is immensely powerful – fitting for the extreme emotions that are brought out in the revenge motive. Thomas Kyd was born in 1558 and died in 1594. The last years of his life were plagued by the repurcussions of his involvement in what seems to have been subversive political activities together with his friend and some time room-mate, Christopher Marlowe. He was imprisoned and tortured, as was Marlowe. Marlowe was assassinated in Deptford in suspicious circumstances and Kyd, although released from prison, continued to live in poverty, and died young. His mother renounced his estate as it contained nothing but debts.